in a Twin cab W/ 2 12" Travis Toy speakers. after that my fender Steelking w/ Travis Toy 15"
Session 500,close second a Twin Reverb Custom 15.Close third a NV112 with the Ken Fox chips. The NV is best for grab-and-go, the others for serious gigs where it's worth the heavy lifting: The Twin for 50-50 six-string /steel gigs and the 500 for when it's all steel. I have been using my old single channel ShoBud amps for the last couple of years. I like the fact that they have a bit of grit to the sound. GK 500, Pro- Fex II, neo speaker small 15" cabinet. Works great for me, for many years. 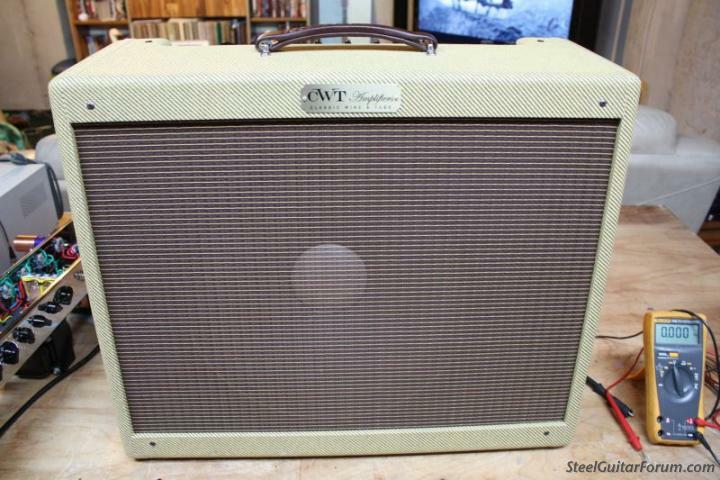 Man amps made during the time Leo Fender ran the company. It was (still is) a great sounding amp, but it weighs 70 pounds. Today I'm using a Quilter Steelaire. It sounds different from the Music Man, but everybody like its tone. And it weighs only about 35 pounds. NOBODY has ever complained about my choice of amp, or for matter, the gauge of my picks, or which levers are on which knee. For me, this choice depends heavily on the application. Generally my favorite is a mid 90s Evans SE 150 with an Emminence Neodymium 15” speaker. For practical reasons I mostly use a Quilter Aviator Gold now, which is a very close second,with or without an extention cabinet. Early '80's Nashville 400. I have 2 in case I want to go stereo. Randall steelman 500 and Nashville 112. Telonics Rack and my old,old ShoBud Amp! Tone to the bone! Went back to all tubes a couple of years ago, had enough of the solid state stuff. I'm currently using a MESA Boogie JP2-C head, through Weber 15" Neodymium's in Rick Johnson cabinets. 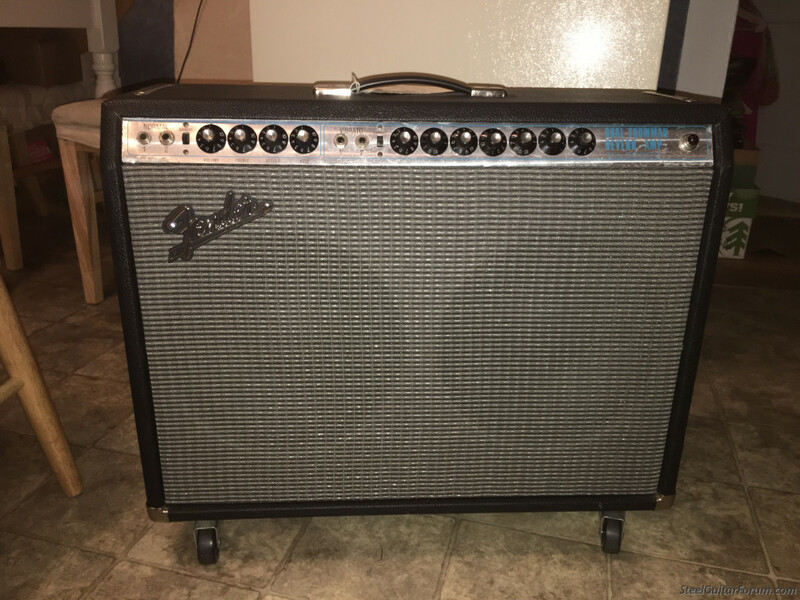 Also was loaned a Soldano 44 12" Combo tube amp by Soldano Amplifiers to take for a ride. The Soldano sounds fantastic, not exactly like my Boogies, but crystal clean with great mids, and lows, plenty of head room and punch. A very quick responding amp. The mids aren't scooped like the fenders and milkman amps. A full compliment of mids, lows and sweet high end. It's a 50 Watt RMS Combo tube amp. It came with 6v6's in it, and two 5881's were sent along as the amp can use either. I prefer the 6v6's personally. I think the Soldano tube 44, is a keeper. Second on the Telonics PRE-1000 based setup. After the PRE-1000 I use a Demeter RV-1D dual spring reverb gated by a Rane G4 Quad Gate/Expander. The tone and ambience is to die for Especially when the signal is also routed to a Le May Modded NV 400 with JBL 140R. I use a Black Box with 2 and 3. Not necessarily in that order, I like all 3. There are so many good steel amps out there. I think it's a matter of finding the right combination. Some steels/pickups sound better through one amp and not through others. And vice-versa. 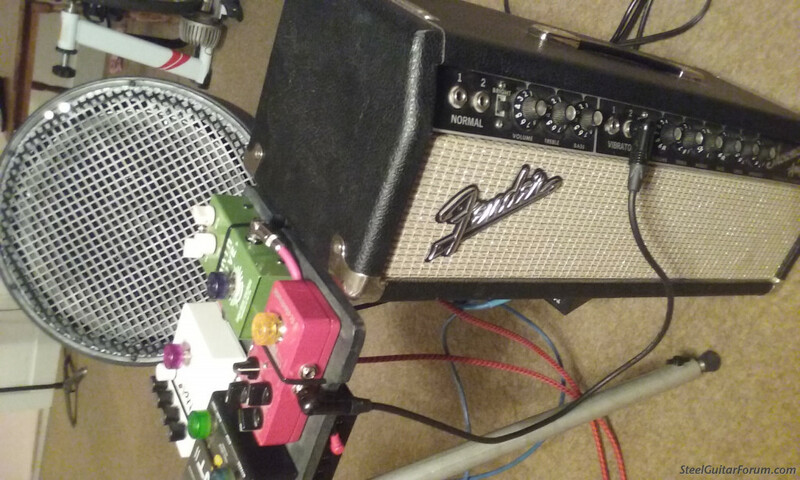 For a push/pull with single coils, I think a Sarno V8 and one of my self-powered 12" cabs is hard to beat - that is for my ear... I also think a Nashville 400 can sound mighty fine with a P/P. Too heavy though. For a retro sound, It's a Standel 50L15 at low volume. For a throw and go amp, the Telonics TCA500C is really great. Lightweight with so many nice features. But I'm a tweak so I borrowed a Kemper Profiling Amp from a pal. It's wicked good sounding. I profiled a 63 Bandmaster head with a D130F. It sounds sooooo good with headphones and a BL710 p/u in my Franklin . I've tried it on stage too. Very good sounding and it weighs six pounds (the head). I gave the loaner Kemper back to my friend and immediately ordered one. If I want, I can have all of the amp sounds in one box. Pretty cool. Isn't the world of amps a wonderful place to hang out? At least to me it is. I wish I never sold my Evans FET 500. I’m glad I sold my Nashville 1000 for my Milkman Half&Half 15” for playing out. I’m glad I have a Telonic 500C for my studio rack. I like them all. Lately, I've been using the light and simple MMHH and Double T-12 combination for gigs. Great reverb and the DI output is handy. My favourite 3 amps for tone are below. 1. Telonics TCA500 combo amp. 2. Webb 614E (with Eminence EPS 15C speaker). 3. Peavey Valve King 100 (with 2 x 12" Telonics speakers). 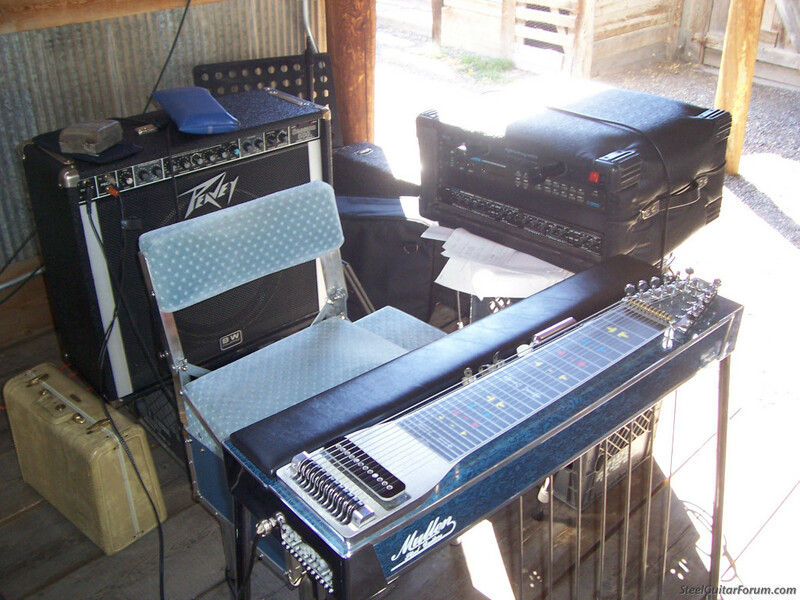 Posted 12 Feb 2019 6:10 am Re: What’s your favorite steel amp? 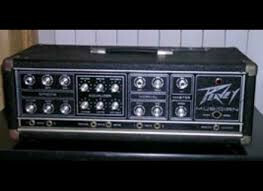 I've owned and and played through a lot of steel amps, but the best for me is the original Peavey Session 400. I also have a LTD 400 and it also is a great sounding amp. Sorry, Bob, but I can't read that faceplate. What model is it? It's a Musician head Chris. I had one and sold it long ago. Should have kept it. They were from the late 70's I believe. Effects of the left side of unit w/EQ. Plenty of power and nice to have in a "head" unit.